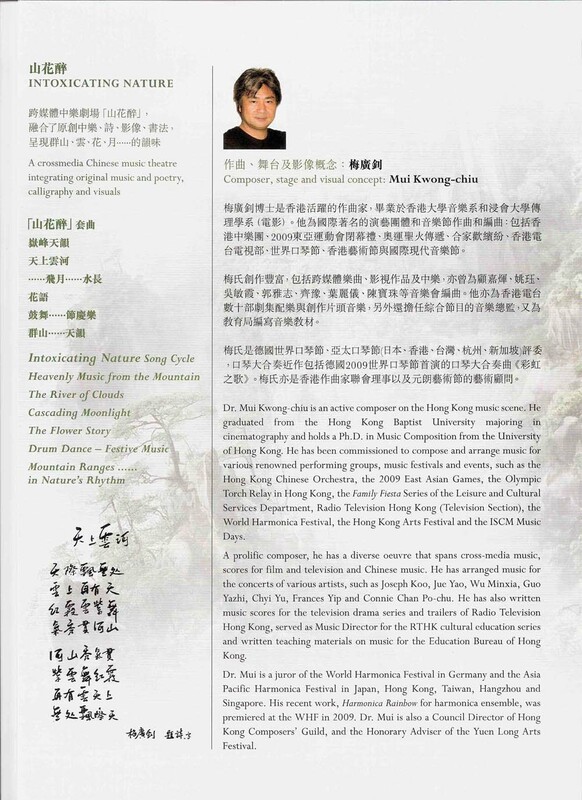 In the coming concert "Intoxicating Nature" organized by the renowed Hong Kong Chinese Orchestra, our Hononary Composer in Residence, Dr. MUI Kwong Chiu, will take charge of all the music composition, stage and visual concept. Dr. MUI will also arrange his work "River Cloud" (a master piece originally commissioned for the Hong Kong Harmonica Association Harmonica Orchestra in 2006) for the Hong Kong Chinese Orchestra. Please come to support and enjoy. 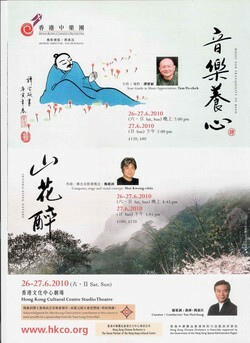 For more detail, please refer to the poster.